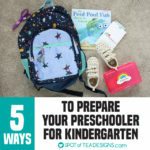 Welcome to the 5th installment of my favorite products for kids series! 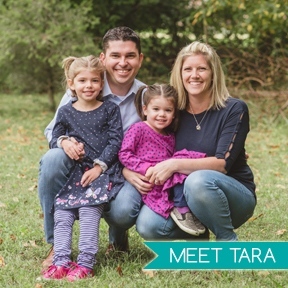 I began this series as a first time mom sharing the baby products I loved when taking care of an infant. 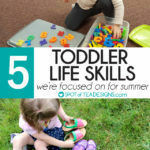 That infant has now grown into an almost 4 year old preschooler! 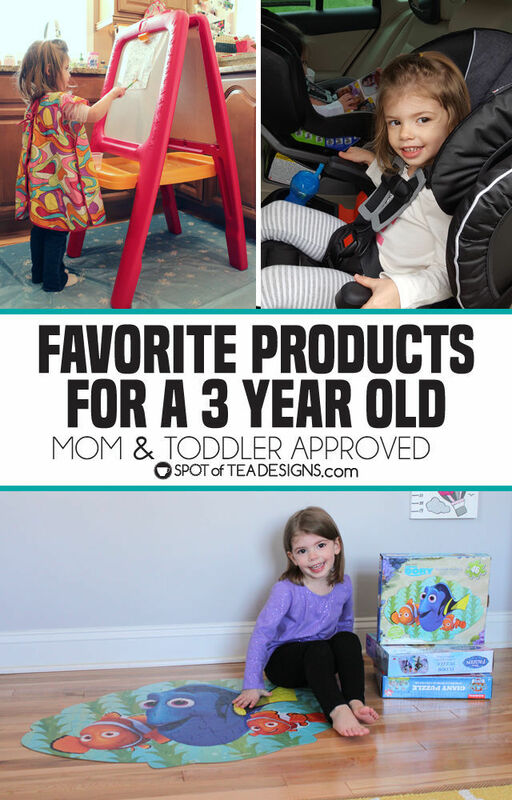 Today I’m showcasing our favorite products for a 3 year old! Just like in previous posts, I broke this down to different categories to help for easy shopping. 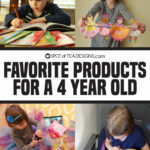 Enjoy this list of my Favorite products for a 3 year old, as approved by my daughter! Let’s start with the best category first! I’m a big fan of toys that have educational elements or long term play. ThinkFun Roll & Play Board Game – It’s simple: you roll the 6 sided colored cube and whatever color it lands on, you pick that colored card. 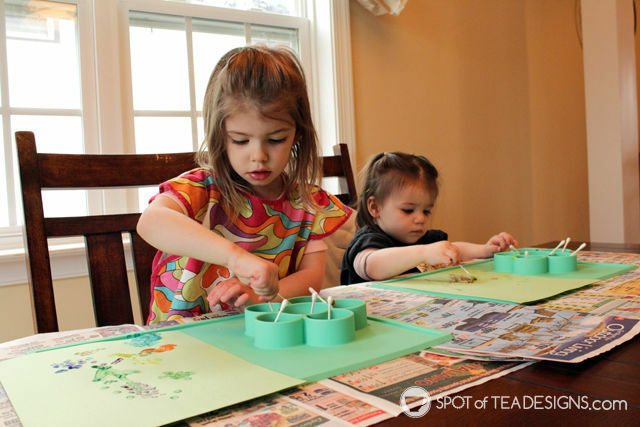 The colors of cards relate to different things kids are practicing at this age: emotions, animal noises, counting, color matching, and fine motor skills. This has been on Brielle’s wishlist for a while and finally the girls got it this past Christmas. While it does list 18 months as the minimum age, I feel like that’s a bit young. It’s been a HIT with Brielle and her boy cousins (ages 5 and 3)! Matching / Memory Games – It doesn’t really matter what brand or theme but the concept of matching starts to get really big at this age. She started playing with the pieces facing up as a matching activity and at around 3.5 we started turning them over to play a memory game. She loves flashcard style ones and hard board pieces. Ones that have to do with colors, or shapes or favorite characters. 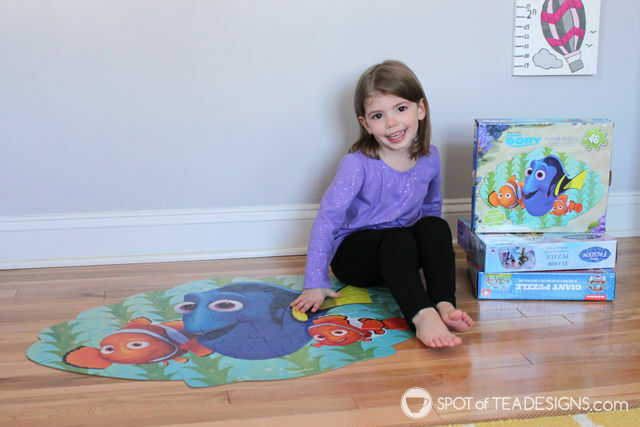 Floor Puzzles – For Christmas Brielle was gifted a few floor puzzles (all Finding Dory themed, oddly enough) and they were a HIT! At first, it was so frustrating for me to watch and not want to jump in and help but I let her figure it out and problem solve how to put them together. After only a few days she would sit for 20 minutes at a time and complete the puzzles on her own. She was so proud and I was so impressed at her skill building that we soon purchased a few other designs to add to her collection. Candy Land – She played this game elsewhere and was hooked. For those, like myself, who completely forgot about the game, there are some candy cards you may pick that even if you’re one space from winning, send you back to earlier spots in the board. Ours is the half sized board version which is great for a quick game or to play a few quick little games and it’s just enough to be fun and keep her attention and have her frustrated if she does get one of the candy cards. The Sneaky, Snacky Squirrel Game – Super cute game board and easy to play as it deals with matching colors. She likes this game and my only complaint is the box itself is a little on the large and oddly shaped side so it can be a pain to store! 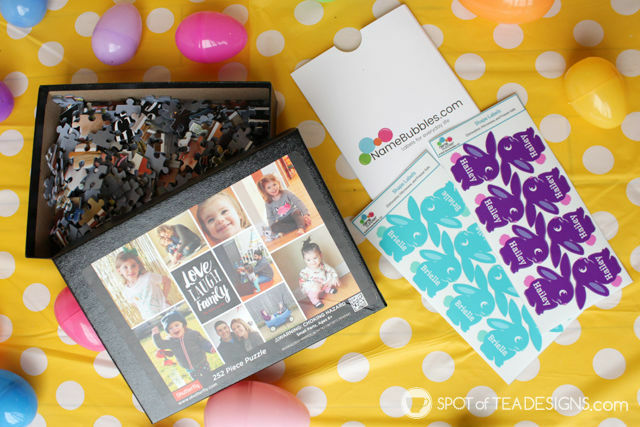 Personalized photo puzzle – For Easter I got Brielle a 252 piece photo puzzle made of mini photos from the past few months. I wasn’t sure if she was ready for this size puzzle, especially with smaller pieces. But she surprised me! She took to it right away breaking out the puzzle into piles made of these mini photos that were different colors and patterns and she was able to put it together! We usually do it together before going to bed and it takes up about 35-45 minutes. She loves puzzle time with us and I already ordered her another one for her birthday this month! Melissa and Doug Wood Construction Set in a Box – While we have many of the traditional girl toy items, I am very much ok with my girls playing with things that used to be deemed only for boys. We have some toy construction trucks, lawn mowers and now this wood construction set. While she isn’t yet a pro at building things, I love to see her mind work to try to take apart the things we build. Which piece needs to twist first and which way to turn it are all part of problem solving that is a great skill to build, no matter which gender! 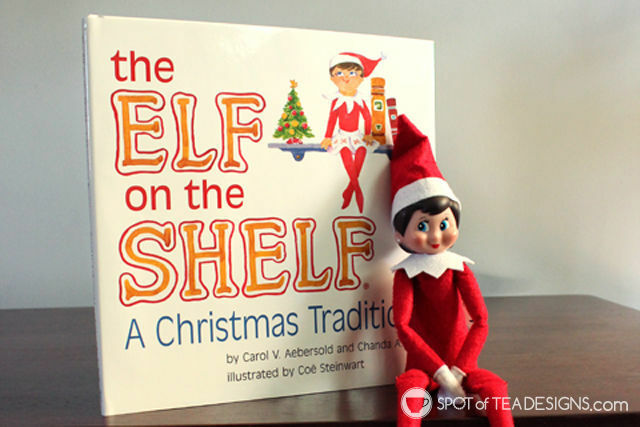 Elf on the Shelf – This is of course something you buy but they can’t actually open at a birthday (as the elf isn’t purchased, he just finds your home) but it’s great for this age! Our elf isn’t naughty but a fun element to each morning. Sometimes she’d just be hiding and other times she had an activity, craft or special treat with her. You can find my posts showcasing Elf on the Shelf Ideas for a 2 year old here, 3 year old here, and 4 year old here, each with a printable you can download and use to check off some easy ideas! Vtech Write and Learn Creative Center – At 3 years old she’s really into recognizing and learning how to write letters. I gave her this item for Valentine’s day when she was almost 3.5 and it was right on time! She would patiently sit and watch the guide who showed her how to create a letter shape and she’d repeat their moves to make the same letter. Melissa & Doug Pattern Blocks and Boards – This is one of the go to activities Brielle will pull out when in her room for quiet time. There are 5 double sided wood panels where you can place the included 120 pieces to create the designs shown. When she’s older I’m sure she’ll start getting creative with these pieces making her own creations but for now she uses it puzzle style to match up the shapes and colors to create the images on the boards. Boon Water Pipes –From the first time she opened this in the bath, she was hooked! I showed her how they worked by sticking one to the wall and pouring water through the opening and she grabbed the rest with a “let me do it” attitude. Hailey patiently sits as Brielle arranges and rearranges the pipes then they both get excited to see it flow through the path Brielle created. 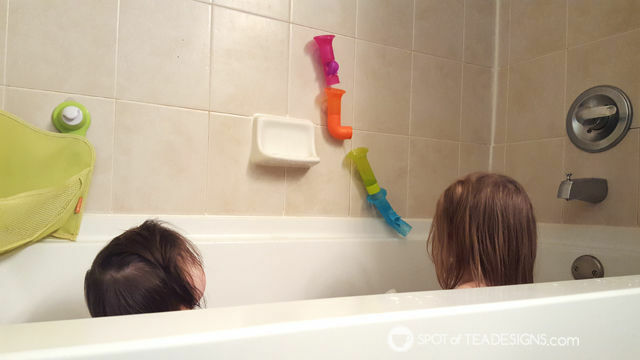 Parents who have jumped aboard the STEM bandwagon will really love these problem solving bath time toys! Crayola Bath Dropz – The Easter Bunny brought these and they have been a hit every bath. She gets to pick out a color tablet and drop it in. Once it dissolves they get in for colored bath time fun. The great news is the tablets don’t stain their skin or the tub! Moms of picky eaters, raise your hands! 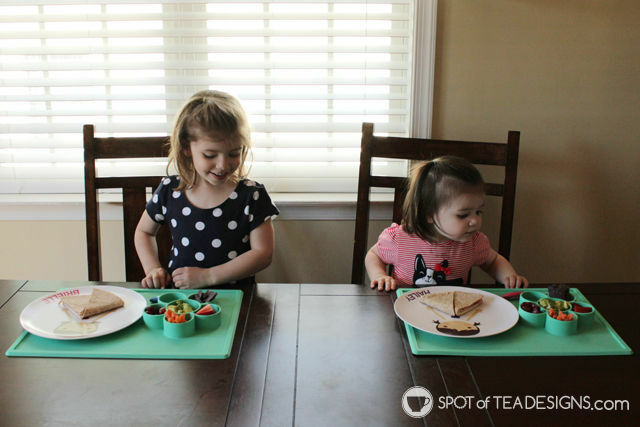 While I am happy my girls do eat a variety of foods, including veggies and fruits, I felt like Brielle started to get bored of her lunches and I wanted to spruce them up! Here are a few things she likes to make her meals fun to eat. 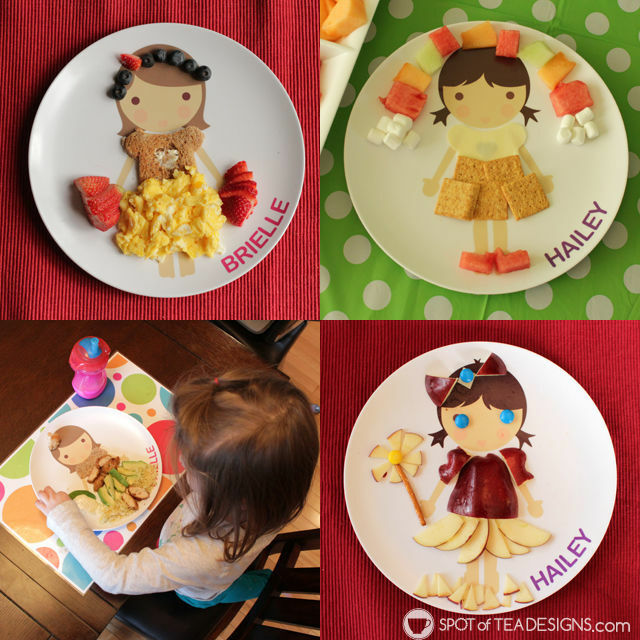 Dylbug Plates and cutter – I found the Dylbug brand through instagram and was quickly hooked on the cute food art designs shown on these adorable personalized plates. I became a brand enthusiast and I got a set personalized for each of the girls. I personally have been having fun stretching my food crafting skills to make them cute meals and they have been loving all the creations I make. We’ve done breakfast, lunches and dinners with these plates and Brielle has even had chances to dress up her girl plate! Follow the hashtag #Dylbugdressup to see tons of cute designs and learn about the monthly theme to get you inspired! Sandwich Cutters – Besides the Dylbug dress and pants cutters we own, I also bought this three pack of sandwich cutters that creates elephants, penguins, and Brielle’s favorite, puzzle pieces! I’ve made cute PB&J sandwiches, grilled cheese, and quesadillas with this cute set! 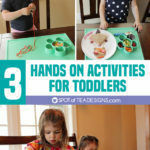 Back in February I posted our favorite arts and crafts supplies for toddlers so make sure to check out the full list of individual art items we love. 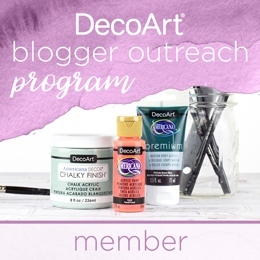 Below you can find a few other items I want to add to this list! Play-Doh – At 2 years old, Play-Doh was something that was explored only by squishing or smashing and had limited entertainment to her. But once turning 3, Play-Doh opened up a whole new world for her! She’s starting to create recognizable things she can name, explore what happens to it when manipulated with tools and crafted up some items for pretend play. Tip: tools that are meant for Play doh are great but you can also use cheap plastic cookie cutters from the dollar store or Walmart for creative play! 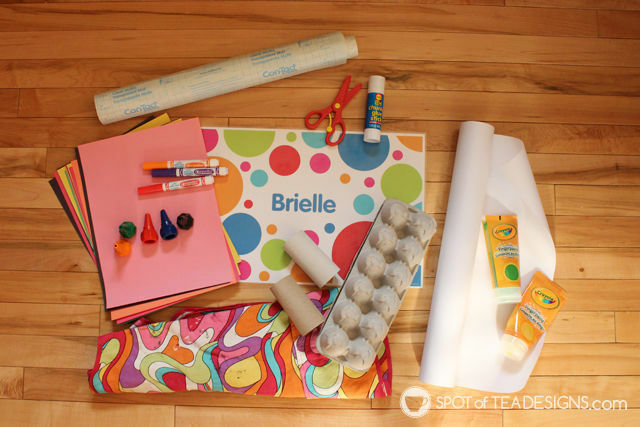 Color Wonder Markers and Books – I have always been weary of Brielle using markers as I know how easy they get on clothes, hands and ANYTHING that isn’t the paper. But Color Wonder markers only color on the special papers from this line. Melissa & Doug reusable stickers pads – They’re not exactly “stickers” as you know them but these vinyl cling shapes are just as much fun. The pad includes several scenes where you can keep sticking and re-sticking the sticker designs which is pretty much heaven for a 3 year old! PS if Princesses aren’t you’re thing, they have lots of other designs including Under the Sea, Vehicles and one called My Town of familiar places around town. EZPZ Flower Mat – We just got these this spring and had fun figuring out lots of fun ways to use these. You can wash them right in the dishwasher so it was ok that we had a painting activity one day and a food craft the next. I really liked it for painting, especially with a water cup as there’s nothing to knock over! 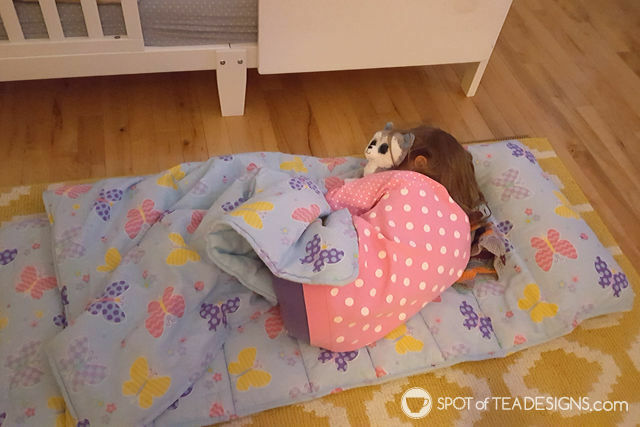 Olive Kids Nap Pad – Brielle has been going to daycare 2/3 days a week since she turned one. By 18 months she was out of a crib for her nap and used some sort of raised cot with a sheet and blanket. This nap pad is all inclusive (pillow is built in and the blanket is connected) and it reminds her of nap time at school. We roll it out during quiet time at home (aka 12:30 during Hailey’s nap) and after quietly playing by herself for about 30 minutes she often tucked herself into the nap pad and took an hour snooze. We’ve also used it for an overnight at a friend’s and she thought of it like a sleeping bag. Sorry for the dark, grainy photo but when your 3 year old takes a nap, you don’t want to wake her! 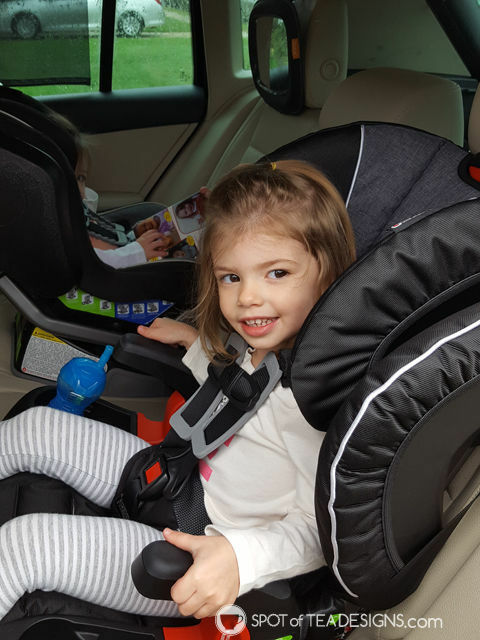 Booster Car seat – While Brielle has been in a convertible car seat since 13 months, we were in need of another for our other car for Hailey and decided to upgrade Brielle’s to a new booster seat style. This one included cup holders which was a novelty that really hasn’t worn off! Not only is she safe, comfortable (she can see out the windows a little more) it also has cup holders <– best thing since sliced bread to a toddler! We’d love the dog plate and bowl set. Omg! This is the best post!! You’ve got great taste as I have many of the same things, but would love the cute plate! I would get a fun place mat! Thank you!!! These are some great ideas!! !